If you ever decide to design your home interiors, it is important to know how to get things started. While it might be overwhelming at first, it helps when you have a good idea of what you want to achieve and how you want to do it. Always remember that proper planning is crucial for things to really come together. So, below are some helpful tips and tricks that will make this project a lot easier for you to do. Most professional designers start things out by creating a design brief. This is where they are able to determine what are the key things they want with the project and what they will want to focus on. This helps create a sense of direction to ensure that at the end of the day, the outcomes are exactly how you envisioned them to be. Always remember that money matters are very important to projects like these. You need to know how much you can afford to spend and you need to know where you are supposed to draw the line as far as spending goes. It is easy to get overrun by costs if you are not too careful. Setting aside a budget and making sure that you stick to it is important. You need a plan to be drawn. Focus on how you want to use the room that you are designing and decorating better. It is not enough that you are going for the aesthetics. You need every room to be functional as well. What you want to aim for is the right balance between style and functionality. Add comfort into the mix and you have the perfect output. Pay attention to how large or small the rooms are before you start deciding what kinds of pieces you are going to add to the place. Smaller furniture pieces are better off in smaller spaces to avoid cramping the setting. Larger rooms can benefit with larger furniture pieces. The goal is for every single piece that you will add to the area to come together to not only fill the space, but to create an atmosphere that is inviting and warm. Ensure that there is connection and fluidity between adjacent rooms. While it is nice to get each room designed and decorated as its own, it is important to create a connection between two adjacent spaces. You want a house which interior feels connected instead of disjointed. So, work on planning how you will relate each of the spaces in your home to each other. Do work with the design, architecture, and style of your home instead of against it. Bring out what makes it unique and use the interiors to better showcase that. 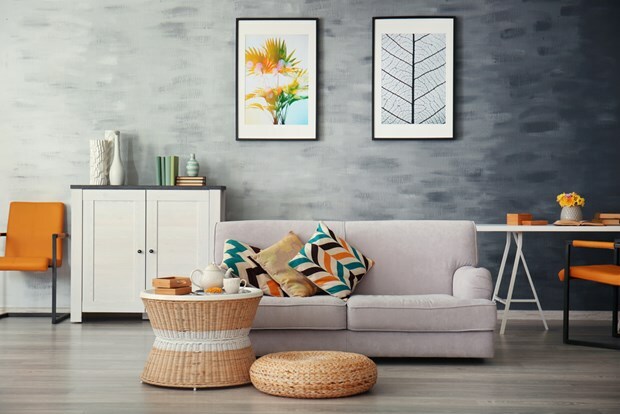 If you need elegant, beautiful, and lasting pieces that will help bring out the personality of your home, Oak Furniture Superstore has a wide array of furniture pieces available. They take pride in crafting pieces from high quality materials minus the usually hefty price. Contact Oak Furniture Superstore reviews today for more details.